Item # 319161 Stash Points: 8,995 (?) This is the number of points you get in The Zumiez Stash for purchasing this item. Stash points are redeemable for exclusive rewards only available to Zumiez Stash members. To redeem your points check out the rewards catalog on thestash.zumiez.com. 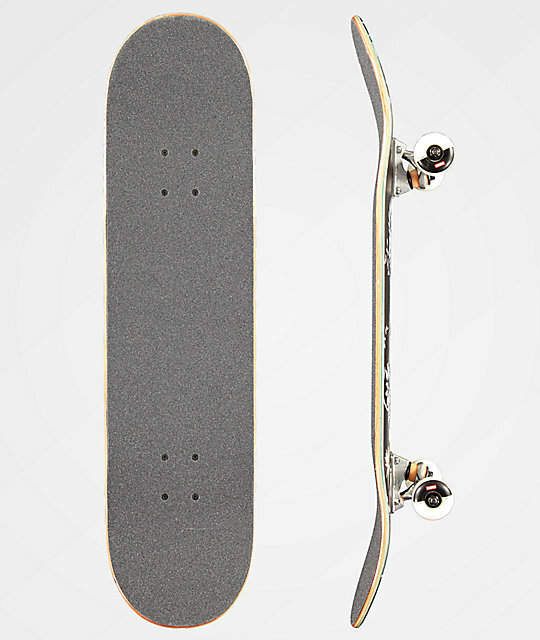 Get a premium set up right out of the box with the Globe G1 Full On Nectar 8.0" Skateboard Complete. This tropical themed deck features slight concave for a predictable feel and comes complete with wide and moderately pitched kick tails for beefy pop and deep stalls. Tensor trucks are added for excellent stability from hill bombs to vert stalls and 52mm, 99a wheels ensure excellent acceleration and controllable grip. Finished off with abec 7 bearings, this set up doesn't just pick up speed quickly, it maintains it. 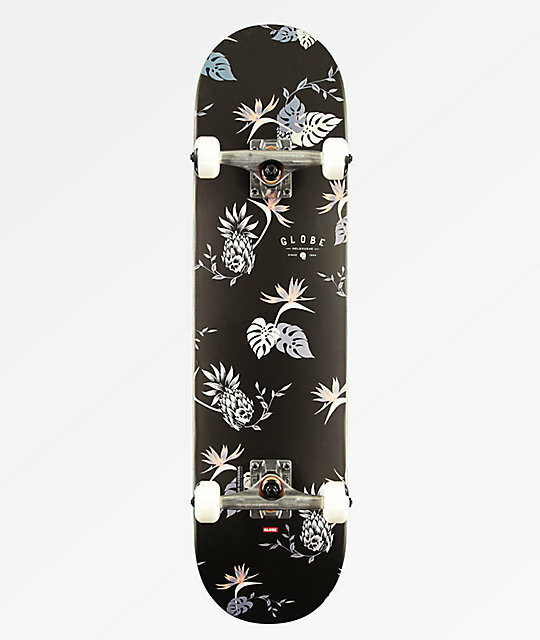 G1 Full On Nectar 8.0" Skateboard Complete from Globe.